With experience in business, lobbying and politics both in France and abroad, Valérie Hoffenberg has developed a unique network of key opinion leaders and decision makers worldwide. In 2011, after several years in politics as former French special envoy for the Peace Process in the Middle-East appointed by President of France, Nicolas Sarkozy, and 5 years elected as Representative of Paris, she decided to put aside her political career and to use her vast and unique international network both at political and economic level to create “The Connecting Leaders Club”, a global consulting company for CEO, institutions and countries and an international event organization company. The Connecting Leaders Club offers to top managers, influencers and political leaders, an exclusive access to high level international network through conferences. Since 2016 : Les Matins de L’économie in partnership with le Journal du Dimanche : high class connected events gathering top CEOs around the main transformation of the French economy through digital revolution. 2016-2017 : The European Business day in partnership with the JDD, Paris Dauphine University and Europe 1. Following the success of the conferences in France, she decided in 2015 to expand her activities worldwide and she opened the israeli branch of the Connecting Leaders Club with Ayelet Gurman. Together they organised the economic event of the Herzlyia conference in 2016 and 2017. For almost a decade, Ayelet Gurman worked as the Content Manager for the conferences and events departments of the leading financial newspapers in Israel, “The Marker” and “Calcalist”. She was also the producer and editor of TheMarker TV. During that period she brought to Israel Professor Paul Krugman, the 2008 Nobel Prize winner for Economic Science, and also the economist Professor Nuriel Roubini. Ayelet was responsible for content of many interdisciplinary conferences in the economic market, technology, small and medium businesses, Tel Aviv 100 (stock exchange) and more. For ten years prior to specializing in Content Management, she worked for the venture capital fund “Eurofund” owned by the Federman Family. 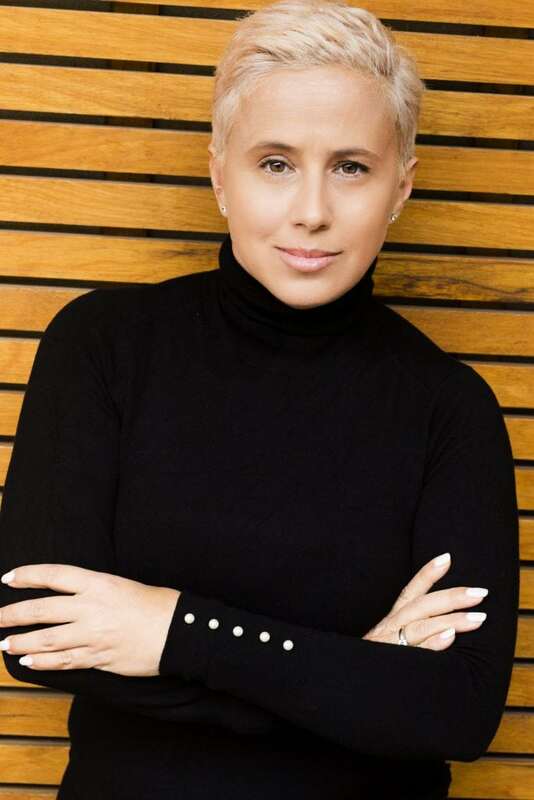 In 2014, she co-founded the Connecting Leaders Club Israel with Valérie Hoffenberg, bringing in her experience in events organization and her wide network in Israel.